April Showers Pour |… on Going NUTS! Beet It | Project Wh… on Beetspiration! Calcium-Rich Greens… on Got Milk? So, I have been hearing a lot about “Bulletproof Coffee” in the Whole30 and Paleo world lately. I have only recently started drinking my coffee black, thanks to my first Whole30 back in December. I never realized how much I loved the taste of just coffee. Before then, I always had it with 2 tablespoons of cream (yes, I measured it out). I thought I was pretty dark and bitter with just the cream since before then I always had it with equal or some other type of artificial sweetener.So, why not try another way to drink coffee in the morning since I’ve become pretty boring with my naked cup of black joe? 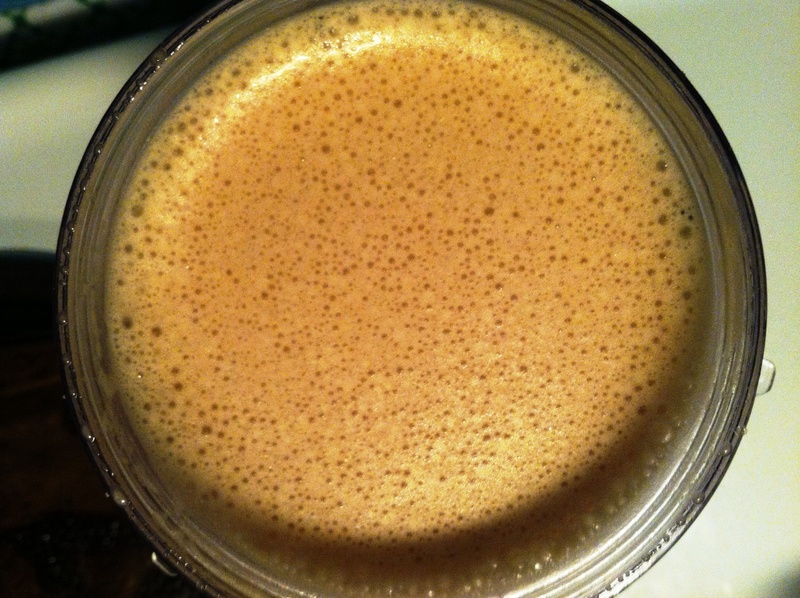 I have read many different recipes for Bulletproof Coffee….some including the addition of gelatin, or vanilla extract, or even something called Medium-chain triglycerides (MCT) oil. 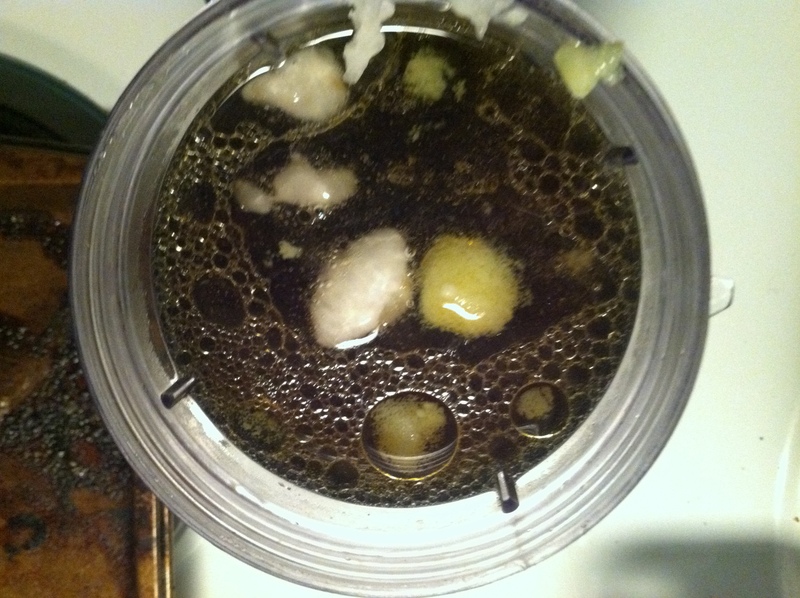 However, all of the recipes have some type of healthy fat added to hot coffee (must be hot) and then blended together. I decided to do a few different variations to see which I liked the best. 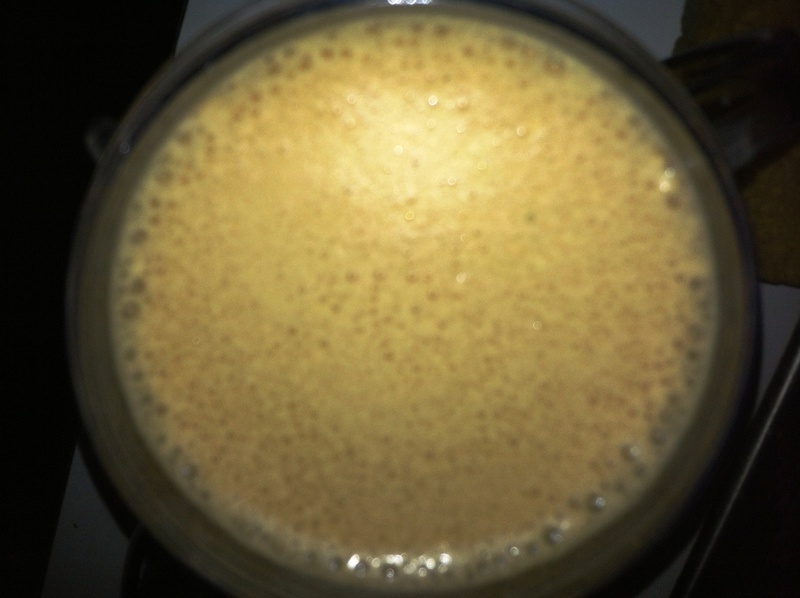 For my first bulletproof coffee, I added a tablespoon of ghee to my coffee and used a super easy Magic Bullet to blend it. It was so fun watching the color of the coffee change instantly from black into a frothy tan. My first sip was heavenly. I couldn’t believe how I have missed out on this until that moment. Seriously. 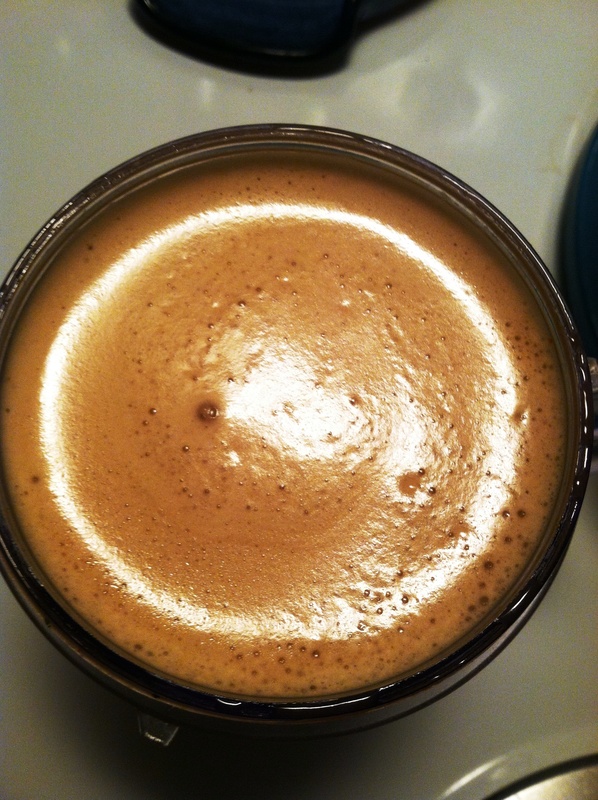 The entire texture of the coffee had transformed into this buttery, creamy, foamy, deliciousness while not manipulating the flavor of the coffee itself. I knew I was hooked after that. The second morning, I skipped the ghee and opted for coconut oil instead. 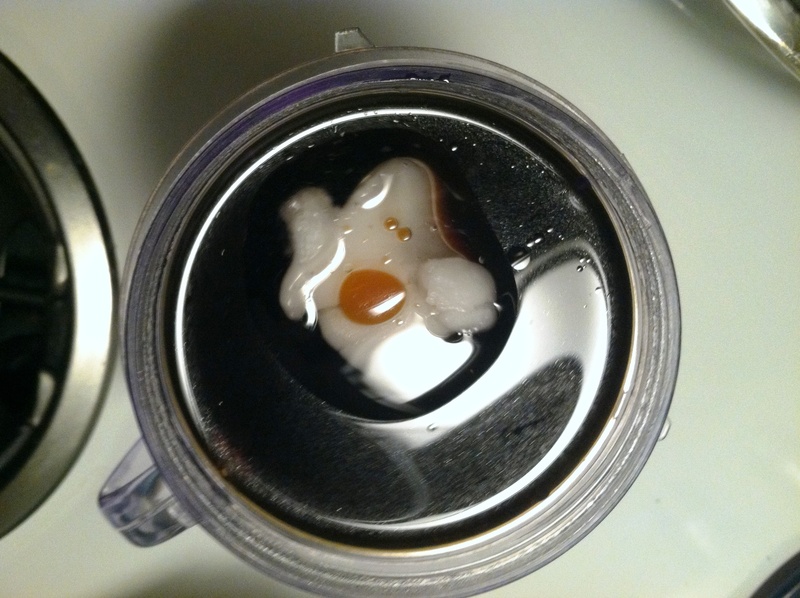 The same transformation from black coffee to foamy concoction took place in the blender. I thought it would taste very different, but surprisingly it didn’t. 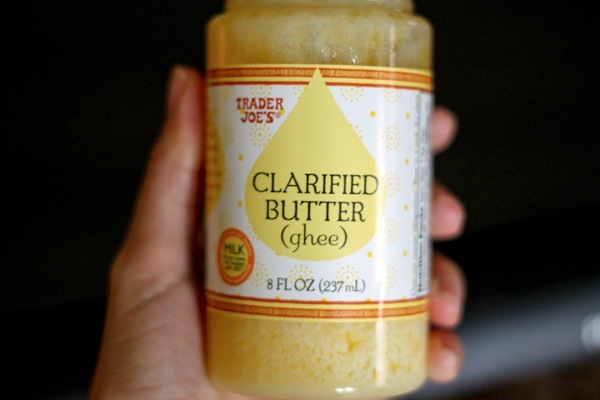 However, I could still tell the ghee apart from the coconut oil. It was hard to determine which tasted better…especially since anything with coffee in the morning is a winner. Now, it was time to blend both together. 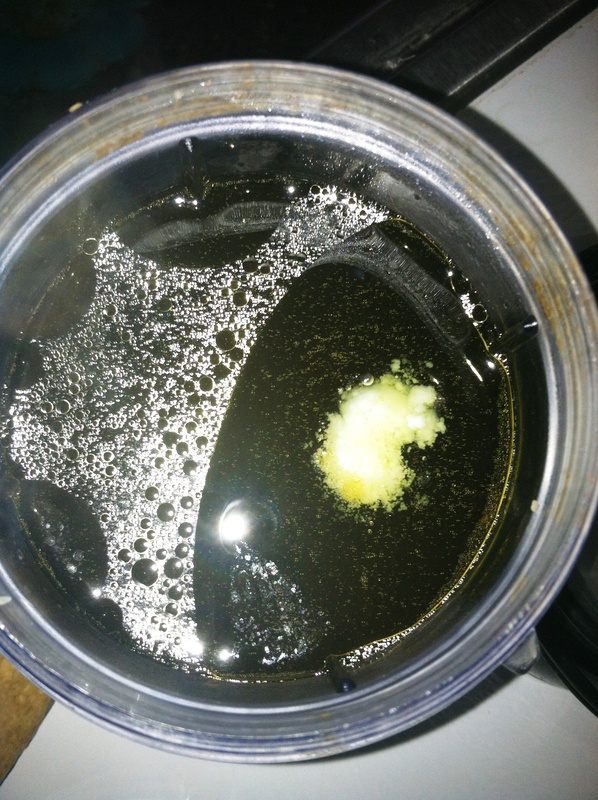 I added a tablespoon of both coconut oil and ghee together to see just how Bulletproof my morning could get. This recipe with both coconut oil and ghee was Heavenly. I seriously couldn’t remember sipping on anything more pleasurable in my life…except for peanut butter milkshakes (you get what I mean though). However, if I had to pick a winner out of the three, it would be the first recipe with just the ghee! Why? It gave the coffee not only such a unique taste, but a smooth texture as well. Also, the third coffee concoction with both ghee and coconut oil, was almost too good. I found myself slurping it up instead of savoring it, which is why I really love coffee in the morning.